This is probably the #1 question Carolina Painting receives when doing an interior residential estimate or interior commercial estimate in Columbia or Lexington. 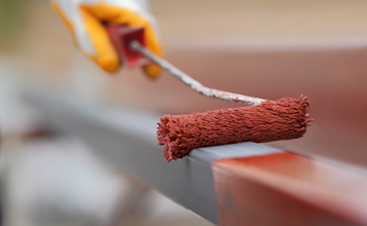 Many owners are confused as to which sheen they want to put on the walls when it comes to painting their home or business. I understand the confusion as it seems that 99% of all paint sales people tend to suggest satin or eggshell—depending on the brand paint. We all want to be able to clean our walls or prevent scuffs altogether and a shinier paint seems the obvious choice for that, but is that true? First, all manufacturers make really good paint if you buy from their high-quality series. Paint is made of pigments, binders, solvents, and additives. So if all paint has those same ingredients, then what makes them so different? As a painting contractor, I can go to my local paint supplier and buy interior flat paint mixed to a Dover White in 12-15 grades of paint. That paint can range from $8 a gallon to $75 a gallon. It’s all flat and it’s all the same color, I could also do that in a satin or eggshell finish as well. The quality of the ingredients is the determining factor. With a better pigment, you will get a richer color, better hiding, and more controlled sheen. 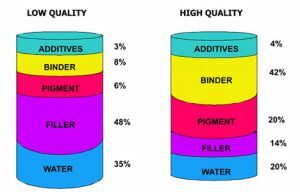 With a better binder you get better adhesion to the surface you are painting and with better additives you will get better properties such as ease of brushing, mold resistance, scuff resistance, drying, and sag resistance. 90% of the time Carolina Painting and Pressure Cleaning will recommend a high-quality flat paint for interior painting. Our average flat paint is priced around $50-$55 per gallon and it takes 1.5 gallons to paint an average bedroom. We do sometimes use a quality satin paint for bathrooms if we think moisture will be an issue. 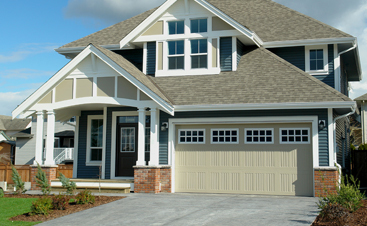 From our view, as a professional painting contractor, we find that flat paint usually gives a better job and touches up better year after year. What doesn’t clean off can be touched up and blends in to match exceptionally well. That is something most satin paints can’t do. That being said, there is no product or sheen that is the best for every situation. Each job is different and we would never recommend flat if satin would be a better choice for your interior painting project. After all, that’s the perk of hiring a professional painting contractor: you have our knowledge and experience at your disposal. Changing your wall paint can make a big improvement after years of the same look. If you would like to update your interior painting, contact Carolina Painting and Pressure Cleaning. Learn more about our services and schedule your consultation!